There’s something I love about short story collections. They are the See’s Nuts and Chews sampler of literature, giving a taste of many different characters and narratives. They can be nibbled on one at a time or indulged all in one sitting. 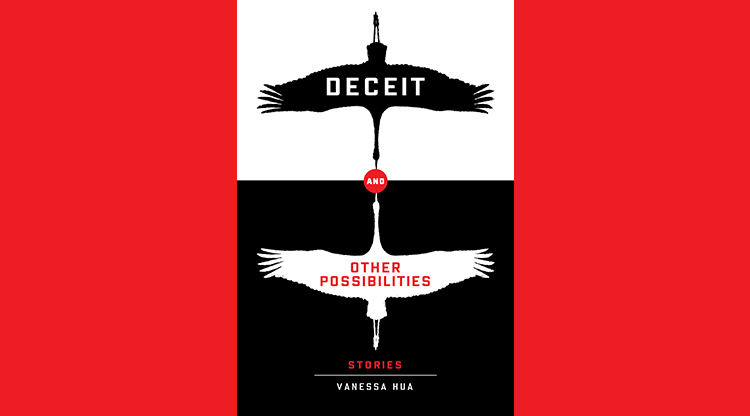 Deceit and Other Possibilities (Amazon affiliate link), the debut collection of short stories by San Francisco Chronicle columnist Vanessa Hua, is one of those books that I wanted to gulp down. In writing fiction, I always believed I didn’t have to write from experience – that is, I could inhabit the mind, the body of another, a man or a woman. Of a parent. After I became pregnant, after I gave birth, I felt as if I’d stepped through a threshold, into another world, of emotion, of ideas, of experience that I hadn’t known and was eager to explore in my writing. Often feel torn between the children I gave birth to, and those sprung from my imagination. 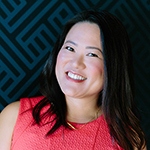 I juggle family with career, and never feel committed enough to either. I try again each day. Her stories often reveal a fanciful twist. One of my favorite pieces, For What They Shared, takes place between neighbors at a campground, with one Chinese woman putting off telling her visiting parents that she has lost her job, and a Chinese American woman camping with a rowdy group at the adjoining campsite. Despite their similarities, the neighbors get embroiled in a common campsite dispute, with unexpected consequences. As the book’s title implies, deception is the common thread running through the ten very different stories. Deceit and Other Possibilities will be released by Willow Press on September 30. This post contains Amazon affiliate links, which may result in a commission for HapaMama.